That's right, y'all. 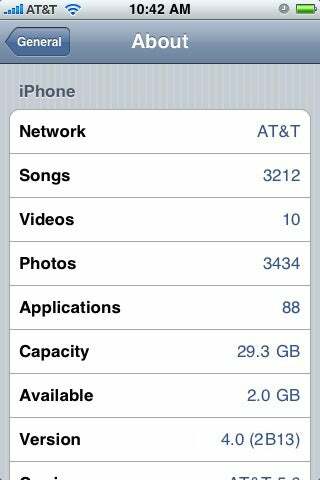 We're back at it, and this time we've received some exclusive iPhone OS 4.0 details from one of our trusty Apple connects. • "A few new ways" to run applications in the background - multitasking. • Many graphical and UI changes to make navigating through the OS easier and more efficient. We haven't had this broken down, but we can only hope for improved notifications, a refreshed homescreen, etc. • The update will supposedly be available for only the iPhone 3G and 3GS, but will "put them ahead in the smartphone market because it will make them more like full-fledged computers" more than any other phone to date. Everyone is "really excited." • The last piece of information is the most vague, but apparently there will be some brand new syncing ability for the contacts and calendar applications. That's all we have for now! Who can't wait for next Wednesday? BGR features the latest tech news, mobile-related content and of course, exclusive scoops.